It Only Hurts When I Blog: Day 2029 - Heigh Ho, Heigh Ho, It's Off to Work I Go! Day 2029 - Heigh Ho, Heigh Ho, It's Off to Work I Go! 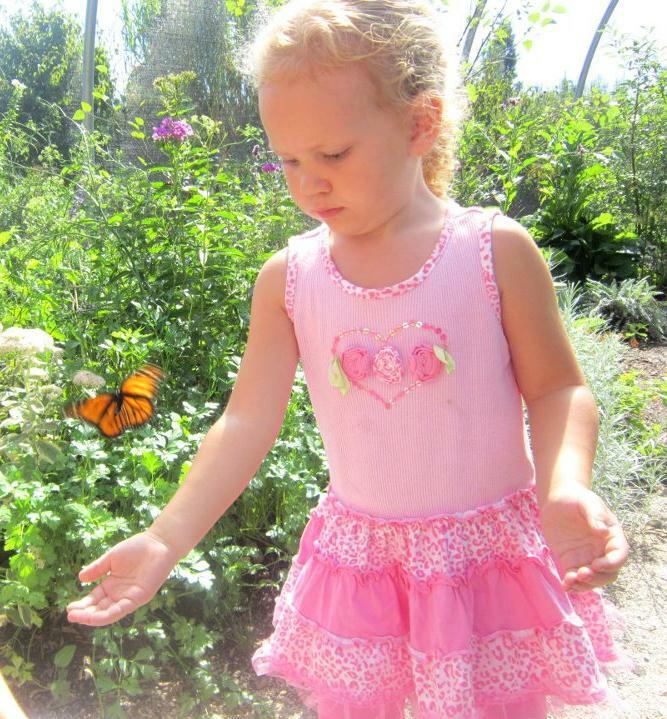 Here is a darling photo of Miss Savannah taken at the Butterfly Gardens in Rhode Island. I hope I can go there sometime with her! I spoke to Savannah on the phone yesterday. We talked for a bit and I said 'You can put mommy back on the phone now.' She answered, 'Why? You're MY Grandma!' Ha! Well, here it is, September 12th AND I HAVEN'T BEEN TO WORK AT ALL THIS MONTH TILL TODAY. Wowie Kazowie, Batman, that's a lot of vacation. Guess I'll start planning my THANKSGIVING vacation, eh? TTFN and have a nice back-to-work week!